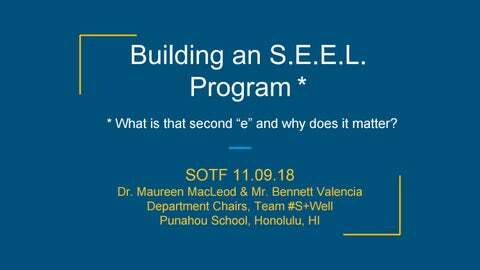 Building an S.E.E.L. Program * * What is that second â&#x20AC;&#x153;eâ&#x20AC;? and why does it matter? The Case for S.E.L. 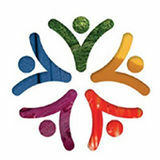 According to the Collaborative for Academic, Social & Emotional Learning (CASEL) â&#x20AC;&#x153;Social and emotional learning involves the processes through which children and adults acquire and effectively apply the knowledge, attitudes, and skills necessary to understand and manage emotions, set and achieve positive goals, feel and show empathy for others, establish and maintain positive relationships, and make responsible decisions.â&#x20AC;? The Case for S.E.L. These intrapersonal and interpersonal competencies can be taught and measured. Research shows that students with these skills do better in school and in life (CASEL 2013) According to EAB, successful S.E.L. programs are evidence-based, place S.E.L. skill building on the same level as other academic subjects, and exist in a culture that supports and reinforces S.E.L. in all areas of the school. Evidence-Based Framework ● Robust S.E.L. programs have positive impacts on student academic success, behaviors, attitudes, and skills ● A myriad of S.E.L. programs are available. The CASEL framework offers a standard against which to measure the potential effectiveness of S.E.L. programs ● All five elements must be present and must reach into the relevant spheres of a student’s life. How does CASEL do Ethics? How We Framed the Opportunity â&#x2014;? To create a multifaceted program that places Social Emotional & Ethical Learning is at the center of a studentâ&#x20AC;&#x2122;s journey and underpins and is integrated with courses and curriculum and teachers consider S.E.E.L. essential to effective teaching. We all are busy and the school culture is still very academic achievement oriented Faculty are hired for their subject expertise - most successful S.E.L. schools we’ve visited also hire for a S.E.L. teaching lens. Like any organization: ■ Change is hard. ■ Change costs money ■ Time in limited ■ People are busy doing good work. * What is that second “e” and why does it matter?